It is 5 P.M. on a windy spring afternoon in Jerusalem. 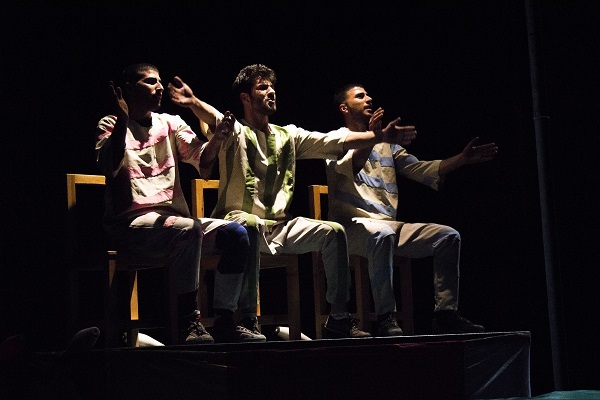 Despite the drastic drop in temperatures, in the East side of the city, more than 250 people headed to the Palestinian National Theatre to witness Mish Zabta – “it is not working,” in English – one of the main productions of the Palestinian Circus School (PCS). PCS is headquartered in Birzeit, a Palestinian town north of Ramallah in the central West Bank. Due to the escalation of violence in the recent months in the city, it has gotten more difficult for Palestinians to get a permit to cross from the West Bank to Israel. However, with the assistance of the ICRC, a PCS crew of eight people, composed of acrobats and technicians, have been granted a permit to perform in the city for at least six months. On the stage, there are three chairs and a pole. Warm lighting highlights a mural that represents the small and crowded village where Mish Zabta’s three characters come from. Behind the scenes, Ahmad AbuTaleb, Mohammad AbuTaleb, and Nour AbuRob are getting ready while the people flood into the theatre. Nour, from Jenin, a city in the northern West Bank, joined the PCS eight years ago. For him the circus is a way to express what he feels inside. “Some people express themselves dancing or telling stories. 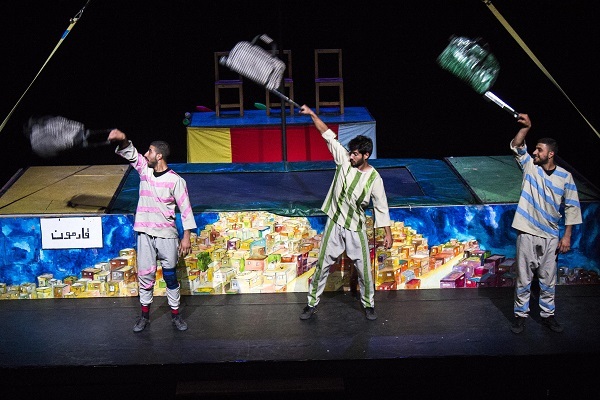 I use the circus because I can raise awareness on many things that do not work in the West Bank while I make people laugh and forget about the difficulties that they face every day,” Nour said. 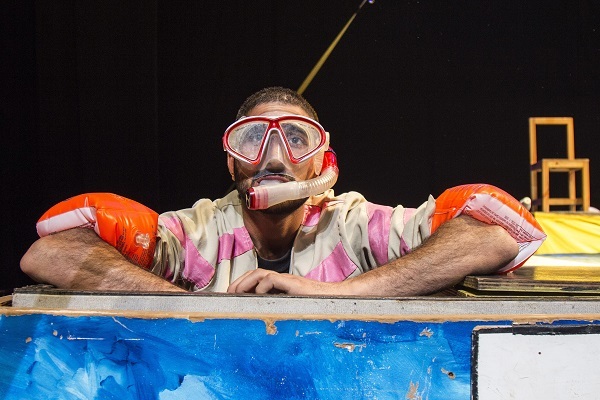 It is 5:30 P.M. when the curtain rises on Mish Zabta in East Jerusalem for the first time. 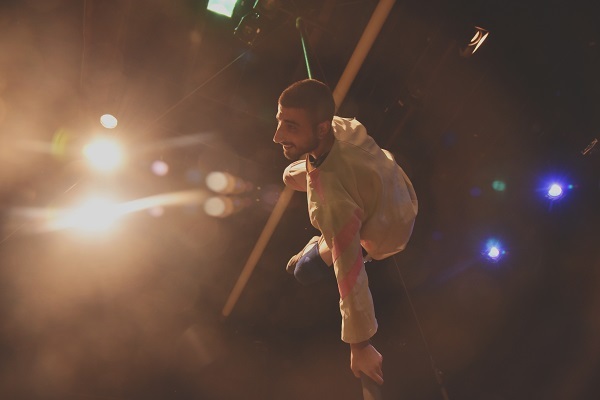 Mish Zabta is a new production of the PCS that combines acrobatics, music, juggling and humour. Through laughter, it tells the story of three ambitious young men looking to fulfil their dreams of a better future, after having obtained university degrees abroad. Upon their return, while looking for a job and trying to enjoy themselves, the men face many challenges that turn their hopes and expectations upside down. 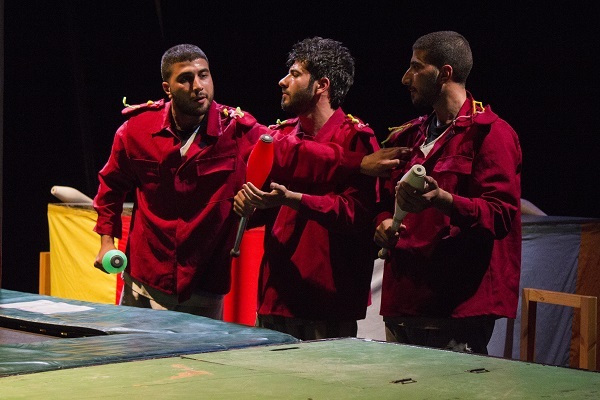 According to Shadi Zmorrod, the General Director of the PCS, the idea of the show came after the war in Gaza in 2014. A young team of the PCS wanted to portray obstacles in their daily lives and the emotions that young people face these days, including fear, excitement and a sense of hopelessness, through a creative and funny production. 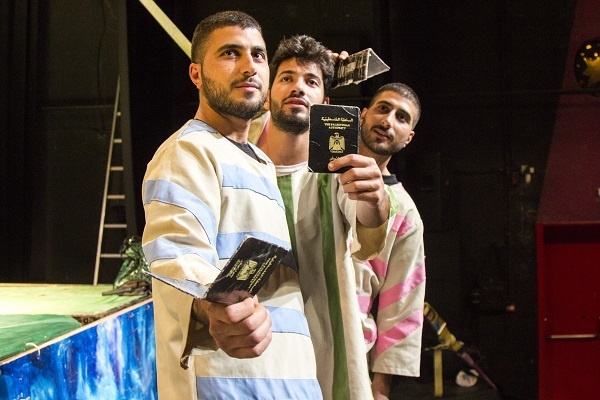 “Mish Zabta wants to reveal the many problems that Palestinian youth face in such a way that it also creates an outlet for the audiences, after the difficult times they have had to experience,” said Shadi. The audience, made up of mostly young people, enthusiastically respond to the actors. Viewing these serious problems through the performance of a clown somehow makes their reality seem bearable. The trauma inflicted by the spiral of violence, especially among the most vulnerable people, such as children and youth, can affect their emotional development and results in mental health complications. In a place like Jerusalem, children are forced to grow up too fast. Giving them the opportunity to relax and have fun allows them to enjoy being a child again. “I have had a lot of fun and really enjoyed the trampoline show and the acrobats. A scene also reminded me of when I fight with my sister over a chair. The way they were fighting was so funny,” said Jana Amr, a 10-year old girl. 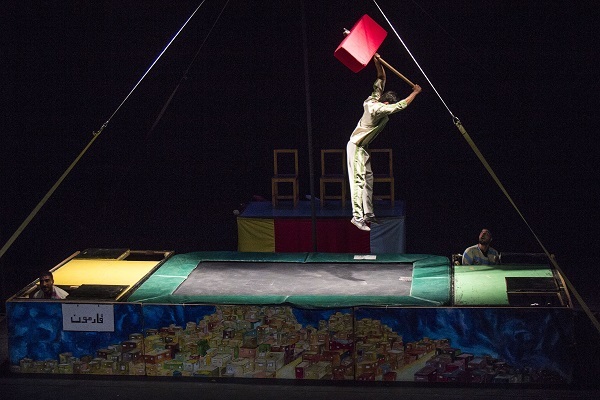 “Creativity, life learning skills, child’s self-esteem, teamwork, trust and diversity are just some of the positive aspects that the circus can promote,” said Christian Cardon, ICRC Head of Mission in Jerusalem, who enjoyed the show with the children. “Today, it is Zabta (working) because more than 600 children have laughed and enjoyed themselves,” he added. It is 6.30 P.M. The sun goes down behind the walls of the Old City while the audience of children and young people file out of the Palestinian National Theatre. Mish Zabta made them laugh and relieved them of their worries, at least for the last hour.